Our replacement windows come with a variety of features and options to suit your specific needs and personal style. 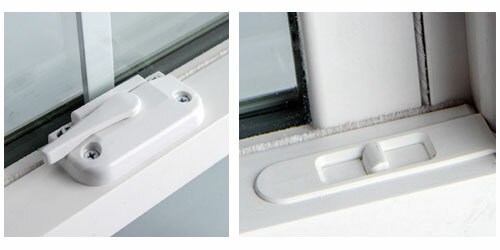 We offer two window series, the 360 and the 360 Platinum. Click the tabs below to learn more about the performance features of the 2 window series, in addition to the color and design options available. Elements insulating glass units deliver the ideal energy balance and solar heat control, high visibility, and fade protection. With gas filled chambers and Low-E coatings, our windows provide high levels of year-round comfort and energy savings. Plus, they reduce your environmental impact by reducing energy consumption. Neat glass is an incredible self-cleaning glass technology that is an option on the Elements3 and Elements5 glass packages. Neat glass is a coating that includes titanium dioxide, which reacts with the sun’s UV rays to break down organic material, and silicon dioxide, which creates an hydrophilic surface on the glass (meaning water immediately sheets off). When it rains, this sheeting effect takes with it the organic material (dirt, dust, even bird droppings) that has been broken down. Green T’s technology incorporates a warm edge product that reduces condensation, frosting, and mold growth while providing superior energy performance. 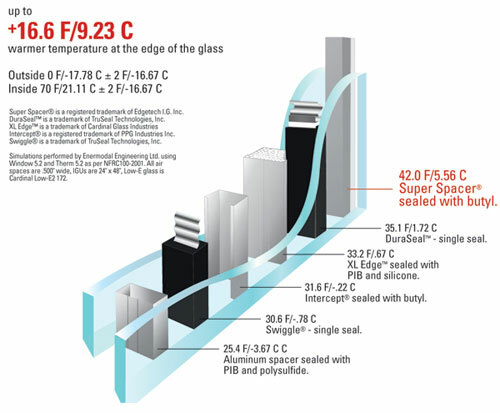 The spacer technology and insulated glass processes have been tested to meet the rigid ASTM 2190 certification. This certification tests for durability, longevity, and argon retention. Green T’s TruSecure Hardware combines streamlined lock visuals with a slimline tilt latch, to achieve a cleaner high-end appearance and true market distinction. It also allows the sash to easily tilt in for cleaning. 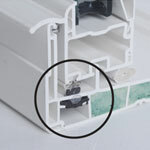 The locks on the Green T windows have been tested to be 25% stronger than a comparable zinc lock. 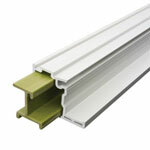 The average Green T double hung window has over 35 feet of fin seal weatherstrip. 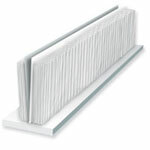 It helps reduce outside noise and infiltration of exterior gasses such as carbon monoxide. The non-metallic reinforced interlock on the Green T double hung window is designed to significantly reduce air infiltration. It also helps as a security barrier for your home. 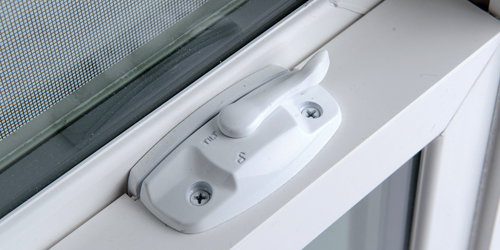 The reinforcement provides strength for long-term satisfaction of your windows. Superior performance doesn’t get much easier than this. Innergy Thermal Reinforcements are advanced fiberglass reinforced resin inserts, designed to slide easily into window sash chamber for greater support strength without the use of steel or aluminum. Innergy reinforcements provide up to 7000 times the thermal performance over aluminum. EnTech insulating glass units deliver the ideal energy balance of solar heat, high visibility, and fade protection. With glass filled chambers and Low-E coatings, our windows provide high levels of year-round comfort and energy savings. Plus, they reduce your environmental impact by reducing energy consumption. Neat glass is an incredible self-cleaning glass technology that is an option on the EnTech Pro and EnTech Peak glass packages. Neat glass is a coating that includes titanium dioxide, which reacts with the sun’s UV rays to break down organic material, and silicon dioxide, which creates an hydrophilic surface on the glass (meaning water immediately sheets off). When it rains, this sheeting effect takes with it the organic material (dirt, dust, even bird droppings) that has been broken down. Green T’s Platinum’s foam spacer technology incorporates a non-metal edge seal product that reduced condensation, frosting, and mold growth while providing high levels of energy performance. Additional features include superior argon or krypton retentions and durability under extreme conditions. 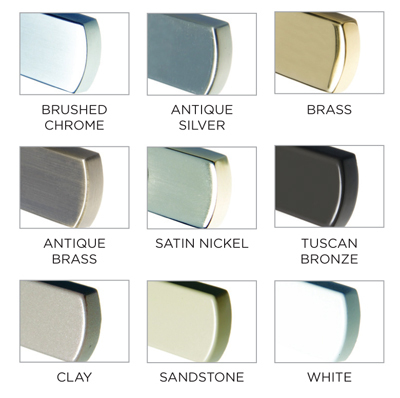 Patented SecureEZ Hardware includes integrated tilt latches making them invisible to achieve a cleaner high-end appearance and true market distinction. It also allows a sash to easily tilt in for cleaning. 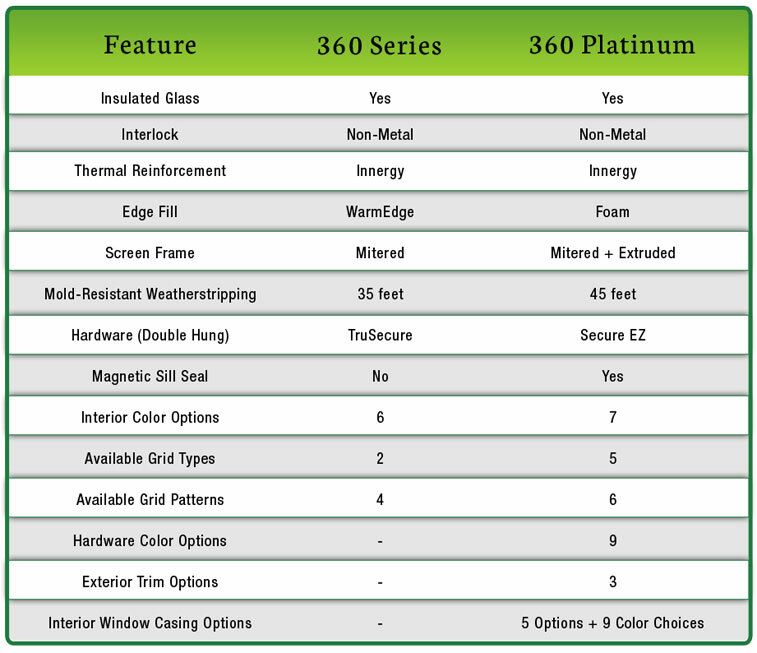 The average Green T double Platinum hung window has over 45 feet of mold resistant weatherstrip. This specially formulated weatherstrip resists and kills allergy-aggravating microparticles of pollen, fungi, mildew, and bacteria. It also helps reduce outside noise and infiltration of exterior gasses such as carbon monoxide. Enhance the look of your windows with distinctive grid styles*. All grids are installed in-between the glass, so glass cleaning is still a breeze. Simply choose a grid pattern and style to add a great accent on your window. Obscure glass is typically used in bathrooms to distort the image behind the glass. Choose from these options. Often used in bathrooms, stairways, and windows close to the floor of a doorway, tempered glass is similar to a car windshield so it will not shatter if broken. 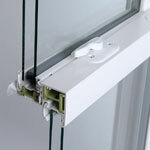 Check you local building code for any windows requiring tempered glass. You have the option to change the height of your single hung or double hung meeting rail. Several color options are available*. Choose from solid vinyl colors or optional color coatings and woodgrain interiors. Several finishes are available for your hardware. Hardware choice are only available for our 360 Platinum Series window. Our windows come standard with a fiberglass half screen. Full screens are available as an upgrade on double hung and double slider windows. Upgrade your screen mesh your screen mesh to aluminum or our favorite Clear View.